If you are already used to WordPress platform and are deciding to setup a forum for your website then bbPress is your first choice. bbPress is a WordPress plugin created by the WordPress team for users who want to integrate a forum alongside their blog or solely a forum. There are several other forum solutions like Vbulletin and phpbb but bbPress still keeps up with them in style as it is the choice for WordPress. The vbulletin forum themes are great but they must be updated for every new version release of Vbulletin in order to work properly. bbPress is easy to integrate, use and with full of options for a better forum performance. If you have picked bbPress then this topic will help you grab an awesome bbPress theme for your website. 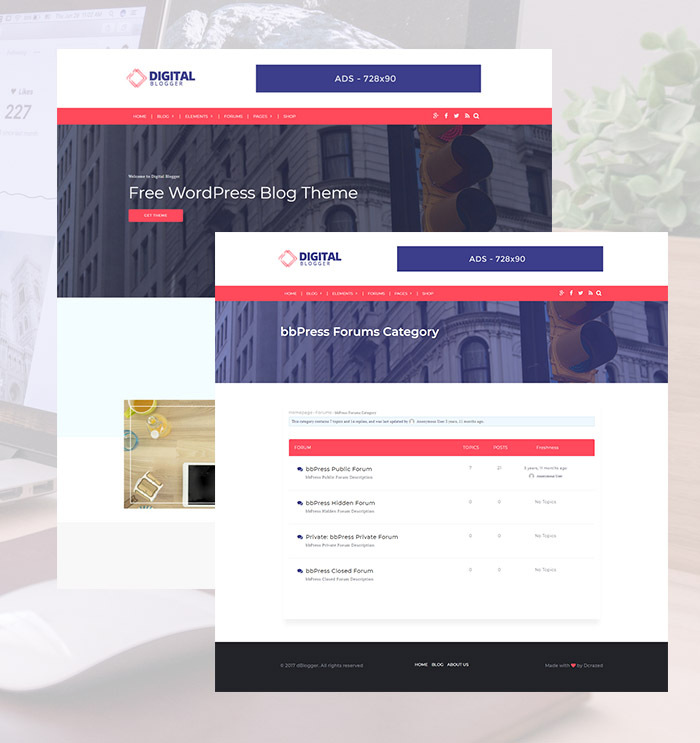 We here have added a list of free bbPress themes as well as exclusive premium WordPress forum themes so that you can try and know how bbPress works. Some theme packs a powerful admin panel where custom options will let you set amazing features on individual pages, posts, forums. Also go through our related articles to freely customize WordPress admin dashboard themes. The newly added theme free responsive WordPress themes 2017 can help you as well. Stay tuned. dBlogger is a free wordpress blog theme released last month with a simple purpose, that is to give users a powerful WordPress theme that is totally free, has a flat clean layout design, has mobile responsive design, a theme that is easy to personalise and ranks well in google search results. 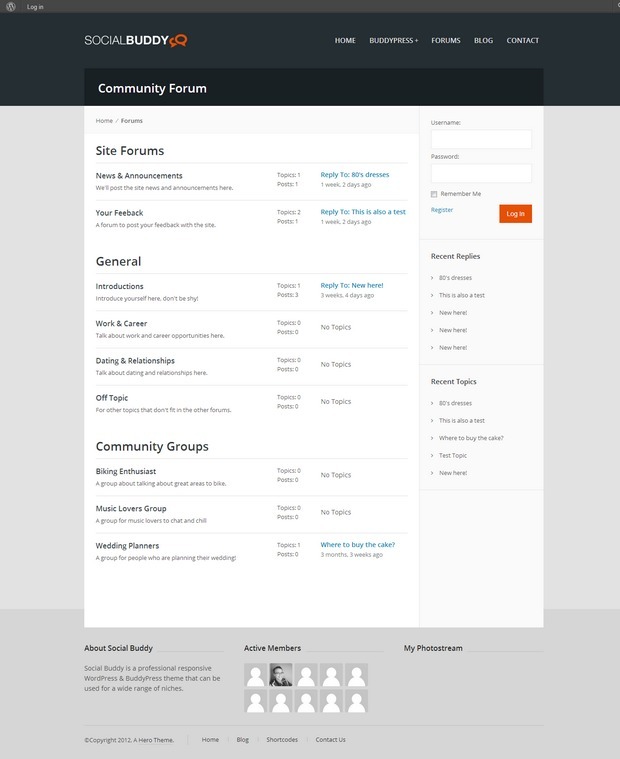 Forum support is another notable feature of this free theme. It does so by supporting the most powerful forum plugin for WordPress, bbpress. dblogger forum lets you respond to your customer queries, engage with your client base, lets your team moderate topics to reduce spam tickets etc. The dblogger theme also lets you setup your shop with the help of wooCommerce plugin to sell your products and services online. The live customizer options gives you better control over color schemes, 600+ fonts and essential theme settings for customizing your website with unique look and feel. The theme is well coded with best coding practices and will give your website a boost with SEO visibility so that you reach a global audience. dBlogger is an all-in-one solution for bloggers, startup business who are into professional blogging and would like to switch to a cool powerful modern blog theme to earn revenue online. MesoColumn is a fantastic WordPress theme with support for bbPress, BuddyPress, WooCommerce and Jigoshop. 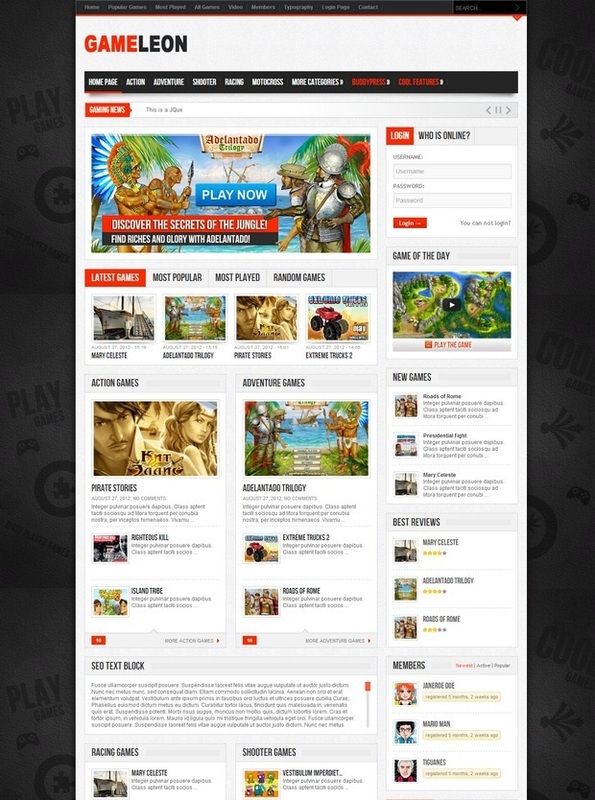 This is a fully responsive theme with multisite functionality. MesoColumn comes prepared to meet your needs with plenty of features. It has an array of color options to choose from for your navigation items. You can stylize your background, sidebar, footer, font and more using the MesoColumn theme options. An excellent multipurpose theme for eCommerce platform with stunning design, customizer panel, visual composer, unlimited colors and much more. the bbpress forum support will be essential to provide exclusive support to your clients through traditional forum question and answers format. 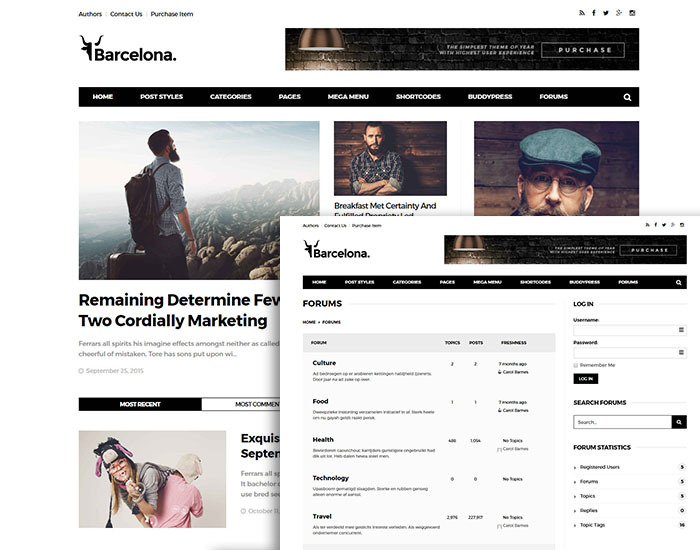 With a simplistic look and emphasis on readability, Barcelona is a popular WordPress forum theme for both blogs and forums. Being developed on Bootstrap 3, this is a fully responsive theme with modern layout styles. The advanced built-in page builder offers you the freedom to style your forum according to your necessity. 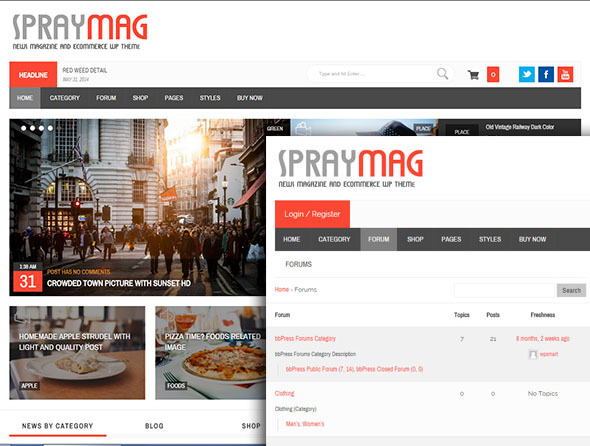 SprayMag is a 100% responsive theme with bbPress Forum support and is one of the best wordpress forum themes released recently. It comes with Custom Post Type options, Review System, Prittyphoto Image Preview, 3 blog page templates and 2 image slider designs. The Review System allows rating posts with three different styles. It also offers WooCommerce functionality. 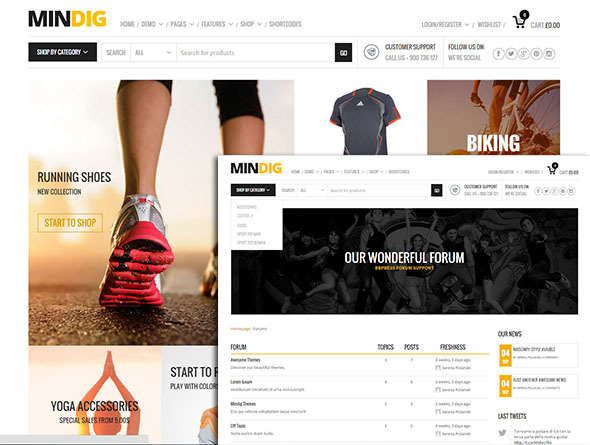 Mindig is one of the fastest multipurpose WordPress themes. It is a mobile friendly theme with more than 14 ready-made demo designs. It offers a Visual Composure plugin to make page building super easy. 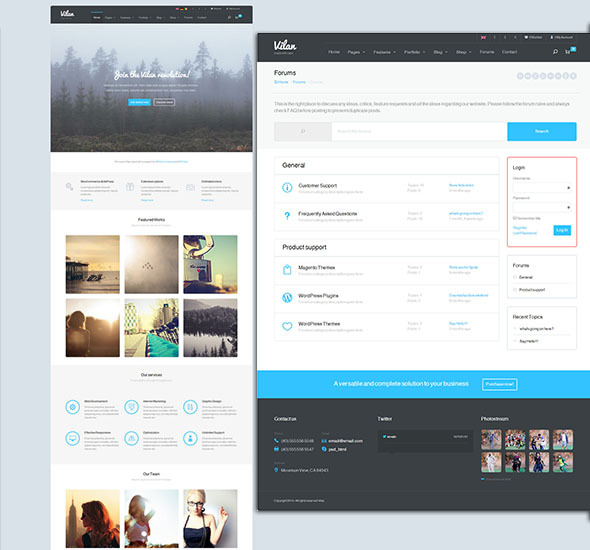 Unlimited layouts for header and more than 300 shortcodes allow users to create unique styles. 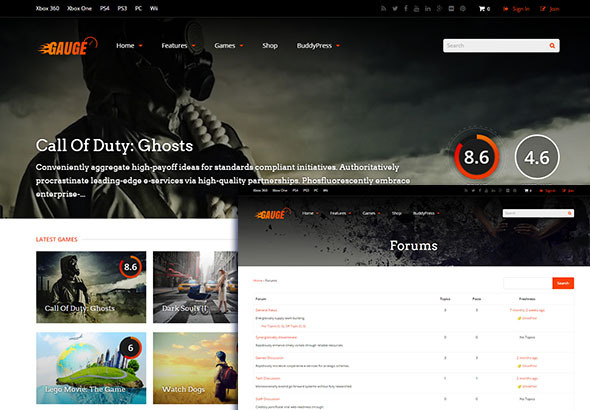 Gauge offers a superb Review System and a Front-End Posting feature that make it one of the best suited bbPress forum themes. The built-in Layout Builder, clean and SEO friendly codes and ready-to-use templates are some of the most interesting features of this theme. It comes with a child as well. 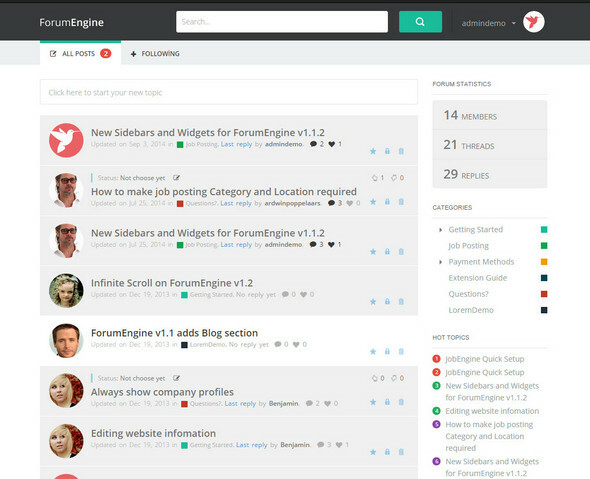 ForumEngine is easily one of the best forum themes out there. Its modern yet simple design has taken its usability to another level. This is a theme fully optimized for forum purpose. Maintaining administrative tasks from the front end and with a simple interface is one of the key reasons for its massive popularity. If you are looking for a perfectly SEO optimized and responsive bbPress theme, Gittys is certainly one of the best options available. 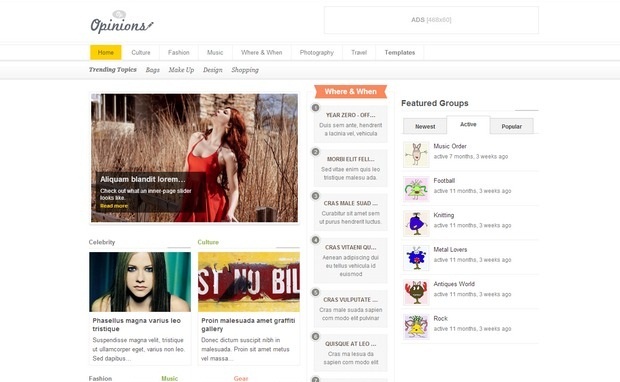 It has a Theme Customizer feature that enables users to stylize their sites with simple clicks. Gittys provides Gallery and Portfolio options to create exclusive pages for Gallery and Portfolio. 30+ shortcodes offer additional functionality. Aziza is a responsive theme with jQuery support. It includes four premium sliders, 360 icons and free child themes. 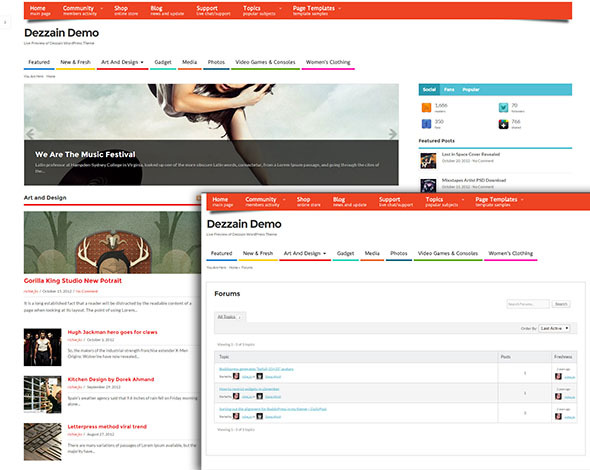 The powerful admin panel of Aziza brings different layouts, templates and colors to stylize sites on the fly. Aziza supports multisite and WooCommerce as well. Connect is a great theme for community based sites. You can choose from five different page layouts. Ad Module brings an special module for advertisement with category based options. 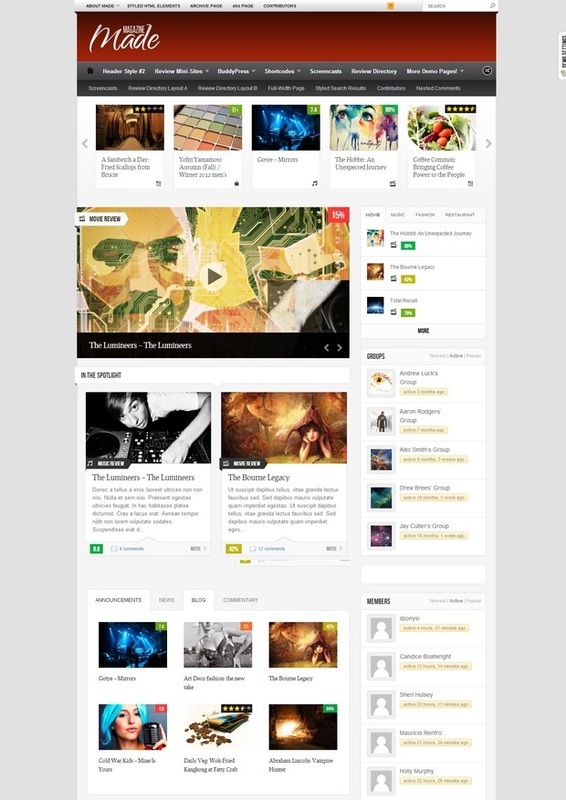 Three Post templates, Responsive layout and shortcodes are other key features of this theme. Salutation comes with a free Revolution slider. With the built-in Contact Form Builder option, you can add custom fields, custom validation, CAPTCHA and a lot more. Layout manager with drag and drop functionality, sidebar generator and responsive design make it a great theme for bbPress. 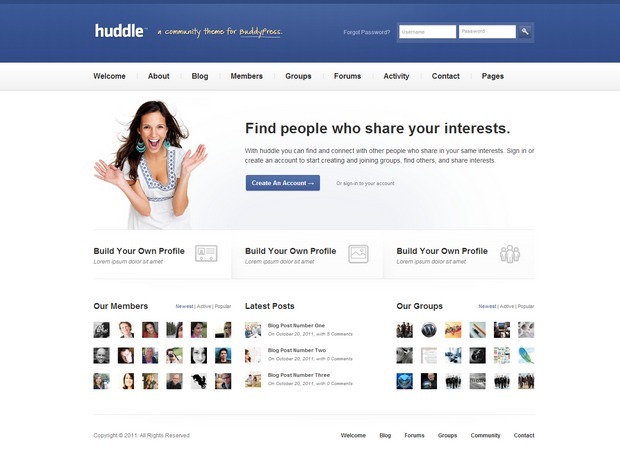 Huddle is a WordPress theme for bbPress and BuddyPress. This is a robust theme with eye-catching design and clean codes. It offers six custom page templates and nine custom widgets for different purpose. 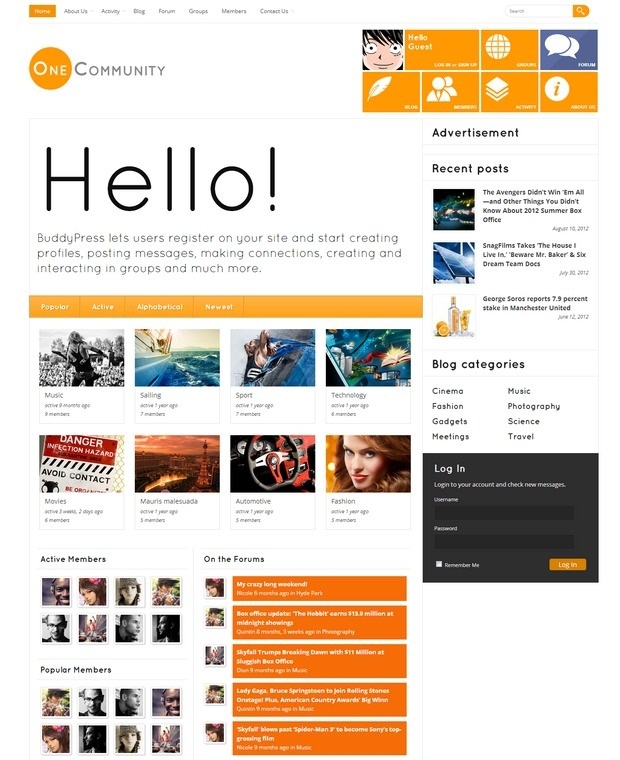 OneCommunity is the perfect theme for community and forums. Its built-in plugin makes registering new users and interacting with members very easy. It has nine color variations, a number of inner pages, four frontpage layouts and drop down menu with three levels. 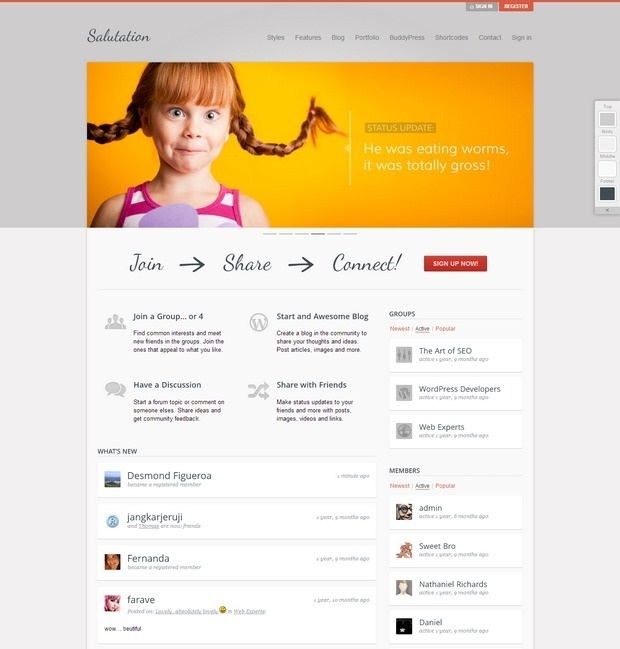 OneCommunity is responsive and includes 15 PSD files. 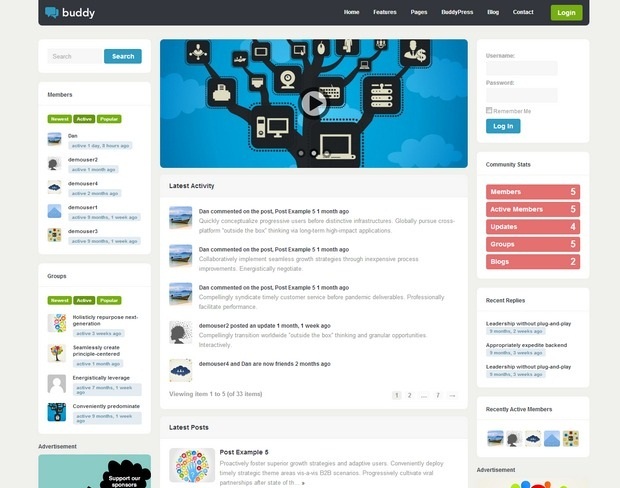 Buddy comes with a retina ready and 100% responsive design built with CSS3. Custom layouts, Skin Manager, Sidebar Manager and compatibility with all major browsers make this theme one of the best bbPress themes around. 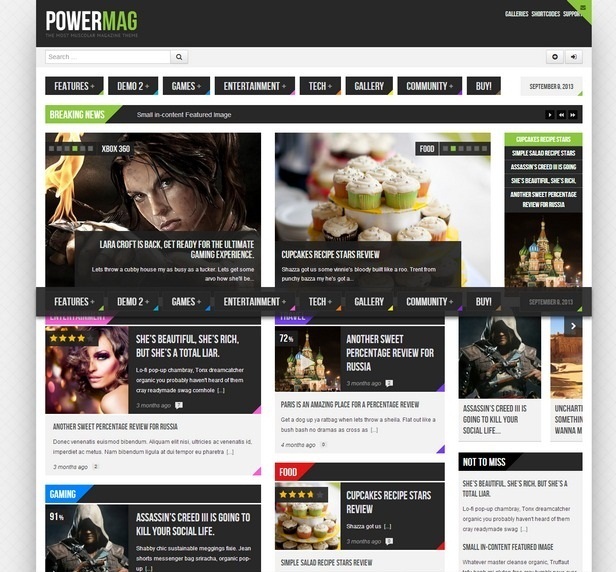 PowerMag is one of the hottest themes for community purpose websites. Front-end code minifier, Review system, Dual Slider, blog view with couple of styles, Premium Page Builder and Premium Gallery Lightbox are the main attraction of PowerMag. Score is equipped with an advanced admin panel. Advanced Review system powered by the GD Star Rating plugin makes interacting super easy. Videos, sliders, images, columns, tabs and lot more can be added to the site using powerful shortcodes. 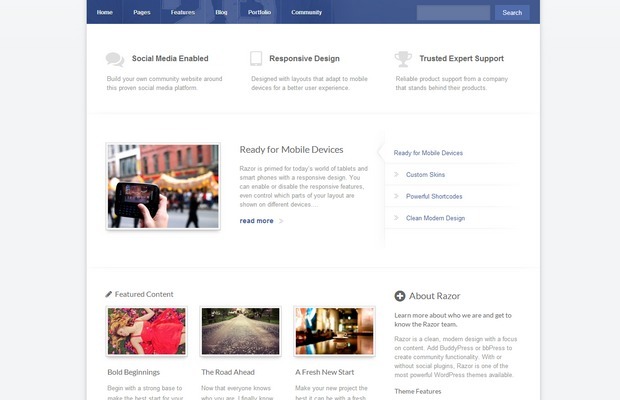 One of the leading WordPress community themes is Razor. It is a fully responsive and HiDPI ready theme suitable for all devices. Contact Form Builder provides users the flexibility to add fields to their contact forms. Unbranded White Label Admin feature makes Razor a 100% customizable theme. 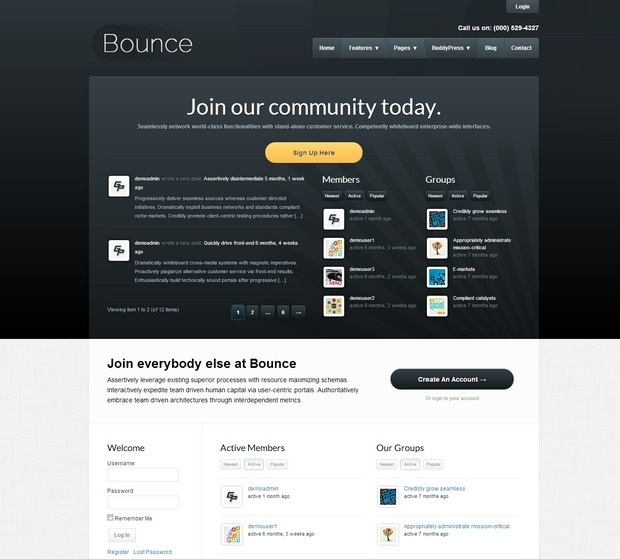 Bounce is popular among users for its simplistic design. This is a fully responsive and professional looking site. It is built as a bbPress theme to make styling forum pages really easy. It offers unlimited layouts and you can choose from unique skins. The auto installation feature facilitate installing the theme very quickly. 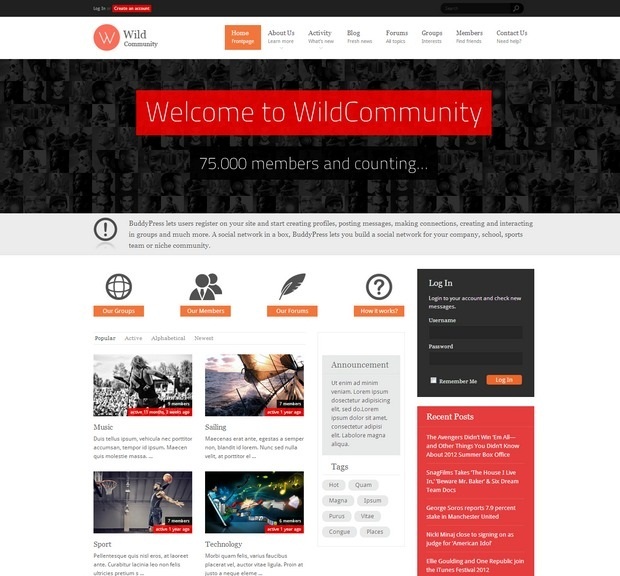 WildCommunity is a theme with plenty of popular features. 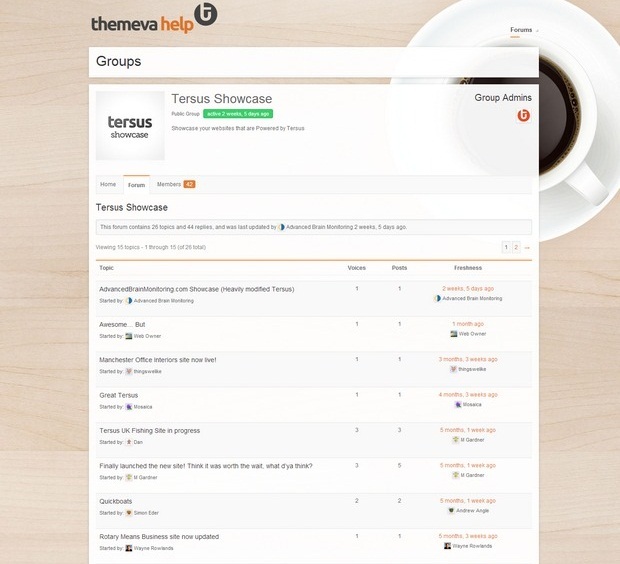 It is a responsive theme with plenty of inner pages for forums and groups. It comes with four frontpage designs. Another interesting feature is notification pop-up window for new messages. It is Translation ready and includes Contact Form 7. Social Buddy brings you a Touch Supported Slider for homepage. Using the Color Picker, you can color your site as you want. Two custom widgets for blog and Flickr are included in this theme. Custom page templates and shortcodes provide plenty more. Another theme with unique design is Squared. This is a bbPress theme with LayerSlider Plugin and Visual Composer. 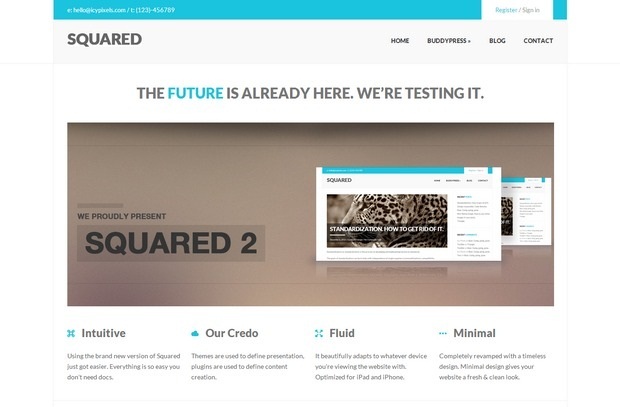 Squared offers you a fully SEO optimized site with clean code. 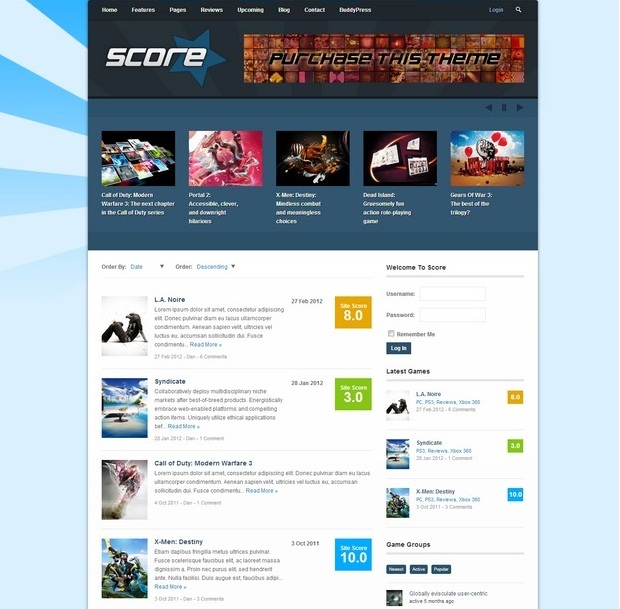 This is an ultra responsive theme with lots of features. 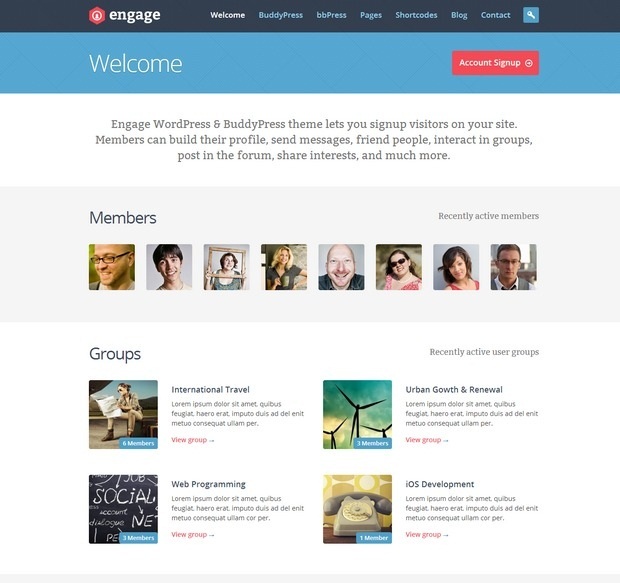 Engage is a theme for community and forums. It supports bbPress and BuddyPress. It is a fantastic theme to develop a community site with lots of great features like threaded comments, dropdown menus, custom page templates, jQuery powered contact form. 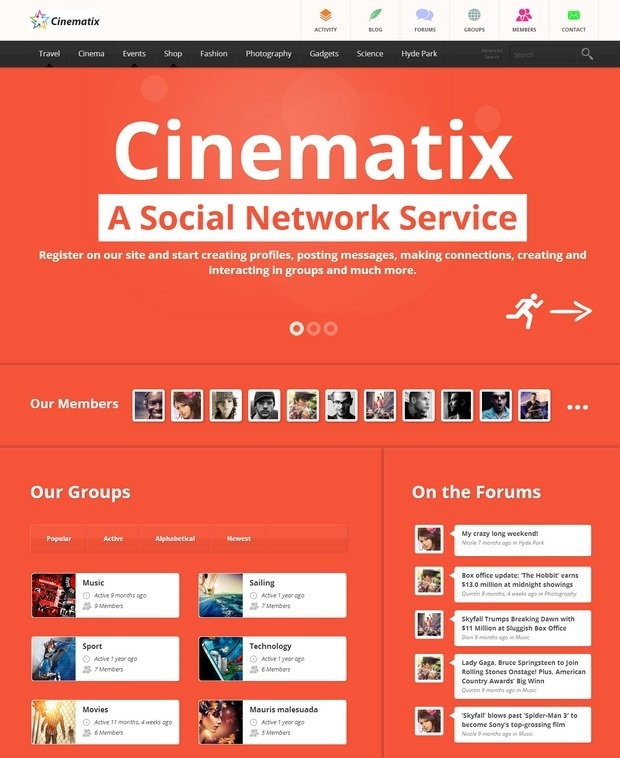 Cinematix offers responsive layout for community based sites. Registering new users, creating profile, posting and messaging to interact with each other can be easily done using this theme. It includes OneByOne slider and lot of cool styles for WordPress pages. Although buils as a dating site, Sweet Date can be used as a community site with the wide range of features that it brings. This is a fully responsive site with the Membership subscriptions plugin. Uses can easily integrate their social media accounts with Sweet Date. Real time online status allows users to easily communicate with each other. The admin panel is loaded with lot more interesting options and features. Klein comes with a Visual Composer that includes more than 50 content blocks for different purpose. With Klein, various levels of membership can be set and you can protect your important sections of your site with privacy settings and restrictions. It lets you choose between the Dark and Light layouts to set the right mood for your users. 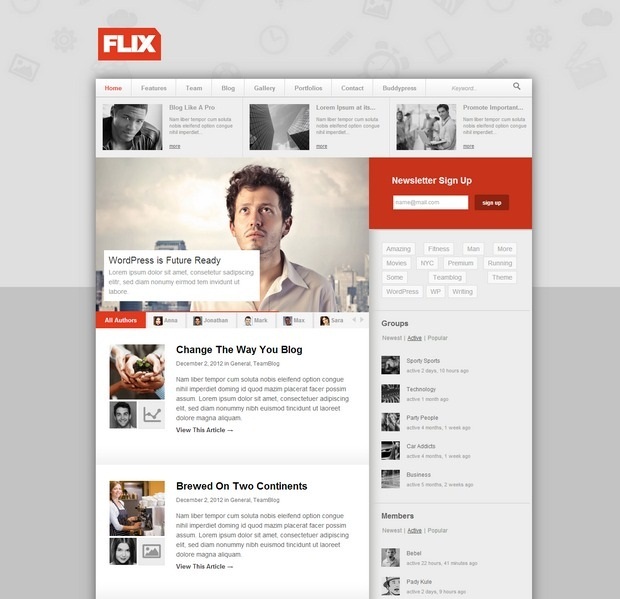 Flix is loaded with lots of superb features. It brings a shorcode builder, Mailchimp feature and bbPress compatibility. Flix is really fast and supports all major browsers. This is a responsive theme with an extensive documentation for the users. 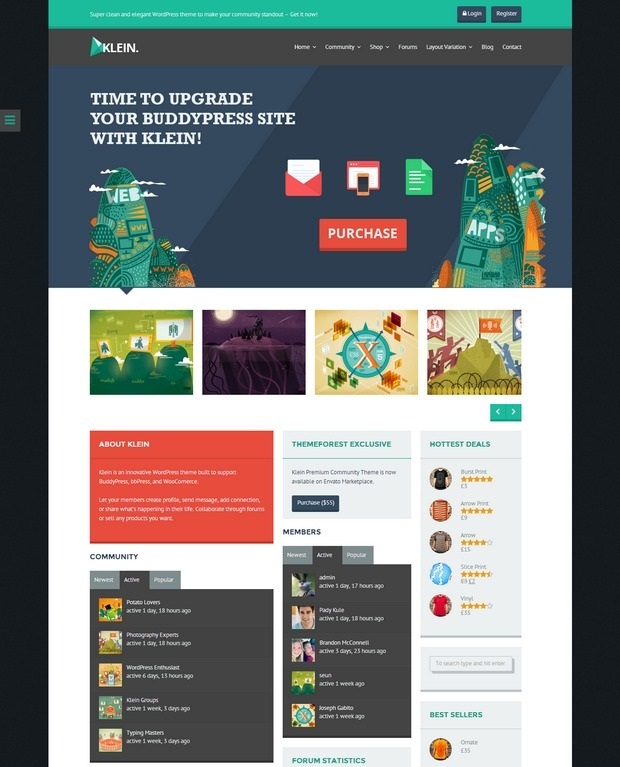 Made is one of the best themes with bbPress and BuddyPress support. With its awesome look and design, it is well known for its attraction to the users. It comes with 16 custom widget panels, 4 custom menus, 2 different theme pages for admin and a lot more additional options. Terso is one of the best SEO optimized themes with support for bbPress. This is a responsive theme with a powerful admin panel which allows custom options for individual pages as well. It includes the Visual Page Builder plugin to bring the drag and drop customization feature. It includes Revolution Slider and Language Translation. 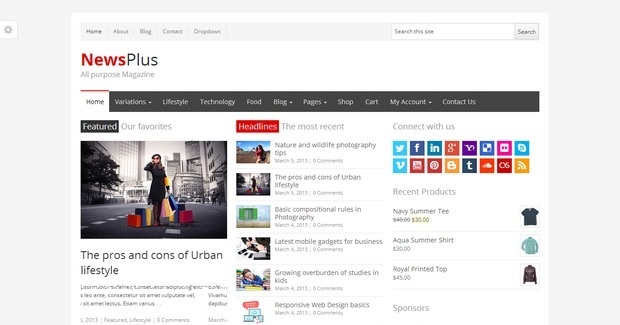 NewsPlus is a multipurpose theme with bbPress compatibility. A wide varieties of options makes this theme best suited for forum sites. Its responsive layouts support proportional scaling. Image scaling, multi-level drop down menus with jQuery, Flex slider, custom widgets and a lot more options make this theme greatly flexible for site development. Gameleon is a great arcade theme for WordPress. It is loaded with an incredibly powerful option panel to provide more control to the user. It is compatible with bbPress, BuddyPress and MyArcadePlugin. Home page and categories can be stylized using some awesome built-in page layouts. 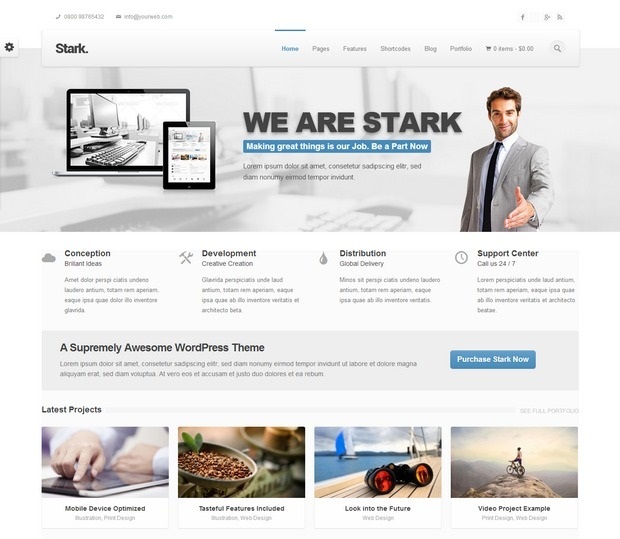 Stark is a user friendly and greatly customizable WordPress theme. It is 100% responsive and Optimized for SEO purpose. Users can stylize their site with Visual Composer, custom theme options and lot more to bring unique look and feel to their site. Though it is the last theme of our list, it is not the least of them by any means. It comes with advanced features including multiple category page layout, several post templates, category based advertisement modules and lots of shortcodes. Being a fully responsive theme, this theme works perfectly in mobile, tablet and computer devices.